Found this place on Yelp, it was my first time here. I had a hard time finding the place based on google maps direction and had to call the office to realize it was the plaza behind the grocery store. The person who answered the phone was very helpful. When I arrived I was greeted by friendly staff. Waited a few minutes and was called in for my exam. My husband was scheduled for an exam also and we brought along our 18 month old son. The staff was very accommodating especially since this little guy will not sit still. The customer bathroom didn't have a changing table but they offered me to use their employee one. They had a cute kids play area while my husband looked for frames. They have a wide selection of frames. Also Dr Wong was very thorough with our exam and extremely knowledgeable. I would definitely be back next year. Dr. Smith has always been caring and informative. She has always directed me in the proper direction. Amazing and wonderful! Dr. Wong was wonderful to my kiddo and David did an amazing job getting her fitted for her first pair of glasses! Bringing the rest of the family in shortly! 🙂 Thank you! I have bought glasses at San Ramon Family Optometry repeatedly and have found the staff to be extremely competent and friendly. 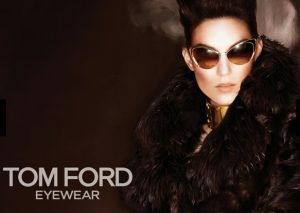 I love their wide variety of frames and I would highly recommend them to anyone looking for a reliable optometrist. They were very patient & wanted to help not only find my best look but something that was in my budget. I was treated like family. I highly recommend. Dr. Wong has been wonderful to work with! The office is very nice and the staff are super helpful and kind. Dr. Wong always answers my long list of questions, and makes me feel well cared for. I highly recommend Dr. Wong and San Ramon Family Optometry if you are looking for an optometrist in the San Ramon! As usual, this is the best Optometrist around! David, you are the five stars for me - what an asset to San Ramon Family Optometry you are. 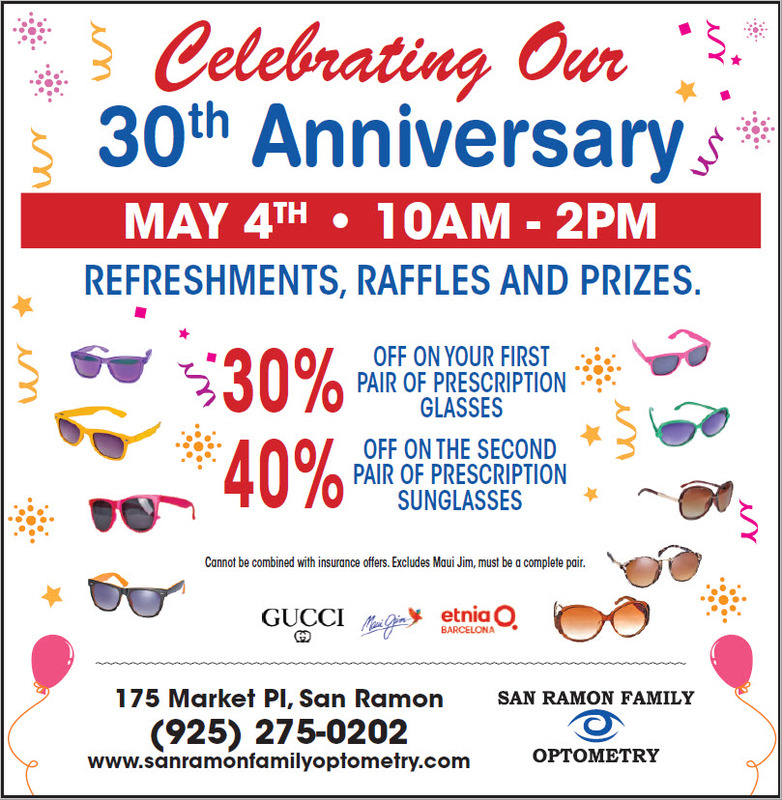 I have gone to San Ramon Family Optometry for years and have been very happy with their service. A couple of years ago, I got a pair of progressives that my eyes couldn't tolerate. They took them back and had them fixed without any questions asked. I have also gone here for a medical visit for a sty that made my entire eyelid swollen and very sore. The drops that were provided cleared this up pronto. When it came back about a month later, the doctor actually just had me poke in for a recheck without an appointment but I was there just to pick up my glasses. Thank you Dr Fong!! Then, earlier today, I just popped in and asked if there was anything that could be done for a pair of glasses I just picked up about a month ago and the frames hurt the bridge of my nose within minutes of wearing these glasses. Rhonda came to my rescue and replaced the nose pads to dissipate the pressure. She was not only efficient and knowledgeable on how to alleviate the pain when wearing my new glasses, she was also so extremely friendly and so willing to help. Well, my new glasses are now exactly what I had wanted and the pain is gone. Thanks so much to Rhonda for her expertise!! Great service, good people. Very helpful and easy to talk to. They have a great selection of glasses to choose from and are very helping when you're not sure what looks good on you. The staff is eager to help and they are always attentive to your needs. Dr. wong is great and super nice, she feels like someone you can easy talk to and get great care from. 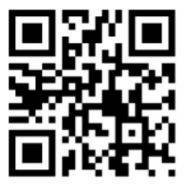 I highly recommend you stop by and check them out! I can't really think of any way to improve. Dr. Chiu has always been amazing and I keep returning because of her! She is always friendly and patient, listens to any questions and concerns I may have and always takes the time to explain things to me. She is the best!!! Dr Fong was excellent. Thorough, kind and patient, he did an excellent job. I will be requesting his services for my next appointment. The front desk staff was excellent. I was on the waiting list for an appt and Lori was great at getting me in before the end of the year!! Dr Fong was excellent-efficient, caring, informative and kind. Excellent. We will definitely return for our future eyeglasses needs. Dr. Beverly is so thorough , knowledgebale and helpful- thank you! Everything is great! Dr. Wong was friendly as always and Brianna at the front desk was charismatic and very knowledgeable! I have in the past been seeing an opthamologist because of family history of eye problems. I was very impressed by the thorough exam provided by Dr. Chiu, and especially by the Optomap, which she took time to explain to me. I felt very well informed. I also liked that Dr. Chiu did all the tests to determine the right prescription for me. With my previous provider that part of the exam was done by a technician. This place has great service, many eyeglass lines to select from and well trained staff. I wanted to write this review for the recent great customer service that was extended to me. I had picked out a pair of glasses that were actually a pretty bad choice for the shape of my face and was really unhappy when I picked up the glasses. Called them the next day and was asked to come back with the glasses. Jasmine, the optical manager, was extremely helpful, fit me with much more appropriate frames and only charged a minor restocking fee. I have always had great service at this location but this time they went out of their way for my mistake. It's so great to receive customer service like this and highly recommend their office! Dr. Bev Smith far exceeded my expectations as a dr. She proved to be a VERY loving and genuine person and went beyond her job description to help me. I cannot describe how grateful I am for her. I fell in love with Future Vision optometry in Pleasanton. Dr. Wong and Jasmine were professional, warm and friendly. They just moved to San Ramon. Dr.Wong is the new owner of San Ramon Family Optometry. I visited due to sudden headaches, the Dr. Was thorough in her exam and patient with my questions. She really expressed concern. She determined 1 eye changed prescription so she gave me free trial lenses to try. Worked perfectly!!! Today I returned for the ck up and I finalized the order. Fair pricing for product. Jasmine (AaaaammmmaaaZING!) checked my insurance and saw I hadn't used a frame benefit this year. I'd forgotten! I asked for in-plan frames and she pulled about a dozen in colors, shapes and sizes...all viable and cool. Thanks to her extensive insurance knowledge I was able to score much-needed computer glasses for a great price which maximized use of my vision insurance. Score!!!!! Its obvious the office is in transition with the new owner. I saw new natural sunlight LED lighting, warm paint and environmental change to create a back office for lab staff. They seem excited to build a similar client-focused office as they had in Ptown. You can tell many more changes to improve flow, services and decor are on the way. They appear tuned to see the office experience from our perspective as we approach and enter for services. It's exciting to anticipate seeing the new vision and mission take hold and bloom. Ps...New staff, New Doctor = good experience. David was so kind and helpful in selecting frames - - he made the experience fun and was able to check my (3) frames back into shape also. Thanks everyone! Four words that describe my experience with Dr. Wong and her team at San Ramon Family Optometry: HONEST -|- TRUSTWORTHY -|- THOROUGH -|- CARING I was really saddened to hear that Dr. Wong had moved from Pleasanton into San Ramon because that meant a longer commute to see my optometrist; however, after my experience in San Ramon I know that trip was well worth it. I appreciated that upon arriving I was greeted, signed in, and prepped on par with my appointment time. The staff was friendly and considerate. I was recently in a pretty serious car accident and my glasses broke on impact so I needed to get a new pair. Dr. Wong and her staff did everything they could to work with me. Dr. Wong is always thorough with her eye exams, more thorough than I experienced all my life going to local optometrists in Los Angeles. I appreciated that she wanted to make sure that all was good with my eyes after my accident. After my exam, picking frames was efficient and I found the perfect pair! It was also great to hear that they were having a sale! I look forward to seeing her again in the near future and would highly recommend San Ramon Family Optometry and Dr. Wong to anyone who is looking for an optometrist in the Bay Area. This review is long overdue. My family and I moved to San Ramon about a year ago. Earlier this year, we had to find an optometrist, and came across San Ramon Family Optometry and Dr. Chiu -- they accepted our vision insurance, and are located close to my fiance and my work places. I came early for my appointment, and spent some time looking at the large selection of frames, as I wanted a new pair of eyeglasses. After a few routine tests and health questionnaire, I paid an extra $25 out-of-pocket to opt out of dilation, and instead doing the less invasive Optomap - that takes photos of the inside & back of your eyes. Dr. Chiu explained what she saw in my photos, and even said she could send them to me to have a cool photo. I didn't take her up on that... but the image is stored in my file so she'll be able to review and compare them next time if any changes happen inside my eye. My eyeglasses came a week earlier than expected, which was good since I lost my glasses months ago. I was finally able to see! When my fiance went in for his appointment, a few weeks later, we discovered he has a floater, when we looked at his Optomap images. It's a really cool thing to see what the doctor sees. We both got our contacts prescription, as well as eyeglasses prescription, and Dr. Chiu was so patient with my fiance, since he never used contacts before and has always been really nervous about anything (fingers, foreign objects) coming close to his eyes. I really enjoyed the quality service at this place. I've been to many eye doctors before, but Dr. Chiu made it a really great experience. Looking forward to seeing Dr. Chiu for future appointments. She already made a great impression with our daughter, and they talked about Disneyland and all the Disney characters to make her feel comfortable there as well. Quality care and exceptional customer service. Dr. Jue-Smith is the best Optometrist I have ever encountered. Although she has a very busy office and schedule, she takes time to make sure the patient is informed and choosing the best frames for his/her needs. Most Optometrists speed you through the exam and are eager to pass you over to the front office staff. She worked with the optician to make sure she understood what would work best for me. You can tell that she cares more about the patient than just making money. The opticians are knowledgeable, helpful, and take the time to make sure you are happy and informed. 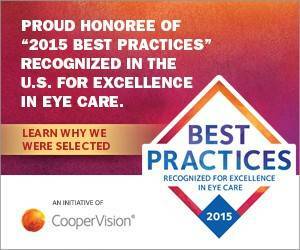 Very impressed with my experience and I highly recommend San Ramon Family Optometry. They even provide a one year guarantee that covers scratches.